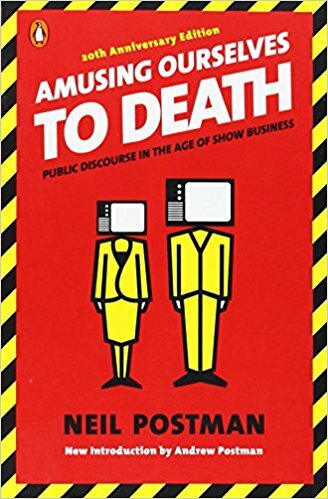 Originally published in 1985, Neil Postman’s groundbreaking polemic about the corrosive effects of television on our politics and public discourse has been hailed as a twenty-first-century book published in the twentieth century. Now, with television joined by more sophisticated electronic media—from the Internet to cell phones to DVDs—it has taken on even greater significance. Amusing Ourselves to Death is a prophetic look at what happens when politics, journalism, education, and even religion become subject to the demands of entertainment. It is also a blueprint for regaining control of our media, so that they can serve our highest goals.